Welcome kindergarten teacher or technology teacher! I’m so glad you’ve found Cool Kindergarten. As a fellow teacher, I hope that you find this free resource to be helpful! 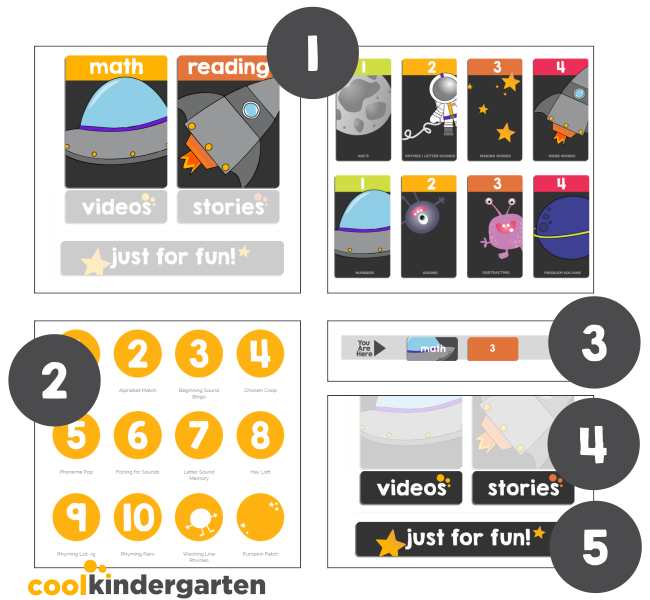 Here is how Cool K works, the nitty gritty of what you might want to know, and the BEST kindergarten teacher-created technology resources available. Students follow directions on what content to work on. They can choose math or reading. They play the listed games and activities in order. Teachers and students can see at a glance where they are at using the built in clickable navigation. Click the images to go back a section, or to go home. Students can listen to audio stories online if they finish early, or as an alternative. Your kinders can also watch math videos to learn more if they finish early or as an alternative activity. The choice is up to you! These can work great as rewards for completing a specific set of tasks. There is a section designed for before school and after school care programs. Students can play the just for fun online games for kids when there is free time. It is a collection of extension activities, fun games and logic puzzles for kindergarten. Games and activities are updated over time. If you find a link that has gone dead, please report it using this form. 1. Cool Kindergarten was created by a kindergarten teacher! Leslie, who is also the founder of KindergartenWorks.com invites you to subscribe to her kindergarten blog updates – which include free downloads, updates and sanity-savers. 2. Here is the focus for each page on Cool Kindergarten. Please see individual pages for aligned standards. If you’re looking for more standards covered or a year long solution see the teacher-created resources below! These 11 games focus on beginning number sense. Counting objects one-to one, rote counting to 20, recognizing and naming numbers (numerals) to 10 and to 20 are the focus of this collection. These 12 activities are selected to work on subitizing and learning how to add. Kindergarteners can learn how to subitize dots on a five frame, ten frame as well as practice addition with objects, pictures and equations. Here are 12 games and activities to build foundational skills like learning how to subtract and composing and decomposing numbers 11-19. Working on those tricky teen numbers by making and breaking them apart with groups of tens and ones is a huge K skill! Modeling subtraction with objects, pictures and equations is also an important focus on this page. This collection of 12 games is a problem solving set that includes understanding how to make 10 in various ways fluidly. Activities and games focus on solving for 10, using logic and strategies to solve missing addends, place numbers on a 100 chart, use date in categories and solve number patterns. 11 games all on one page that helps kindergarteners learn letter names, matching uppercase and lowercase letters as well as abc order. This collection covers the alphabet quickly. This phonemic awareness collection of 12 games focuses on beginning sounds and ending sounds. Included are activities to work on rhyming and hearing onset-rime word parts. Here are 12 games that build on understanding sounds in each position, sounding out and creating CVC (3 letter words). Students will blend, identify and manipulate letters in short words. 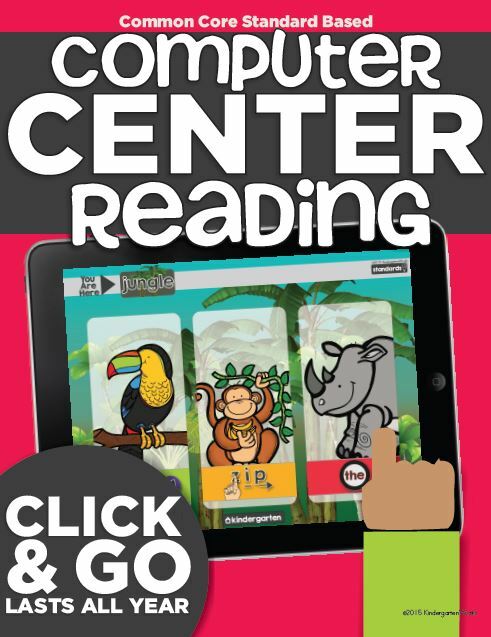 Build on core kindergarten foundational reading skills with 12 word reading activities. These games focus on reading 4+ letter words, learning basic spelling patterns like silent e and digraphs. Plus students will read sight word games. These skills are for kindergarten and first grade. 3. 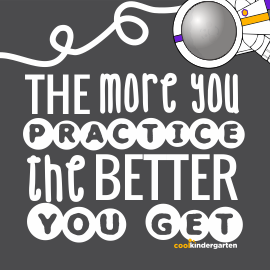 If you like all that Cool Kindergarten has to offer, we’d love to have you share it with others! Save yourself time! 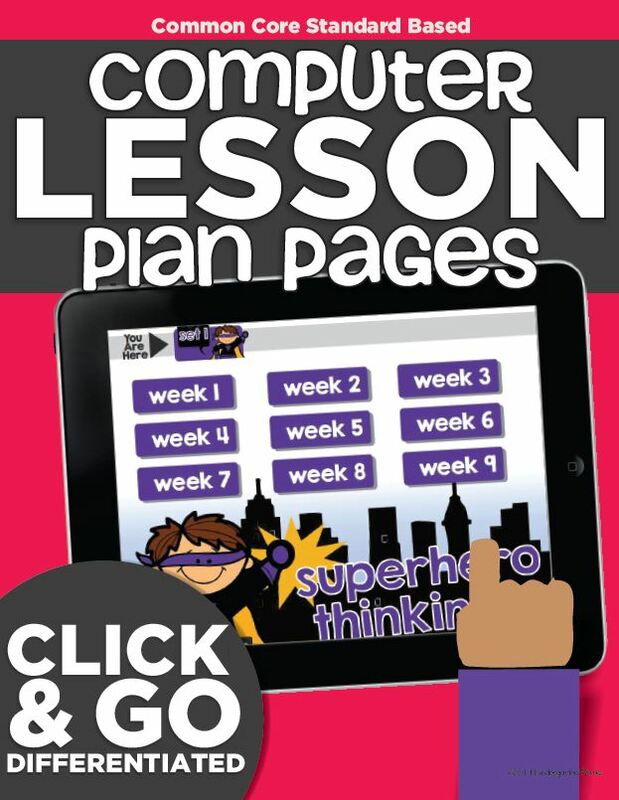 If you like Cool Kindergarten, then you’re sure to love these unique sets of year long lesson plans for the computer that are already done for you! 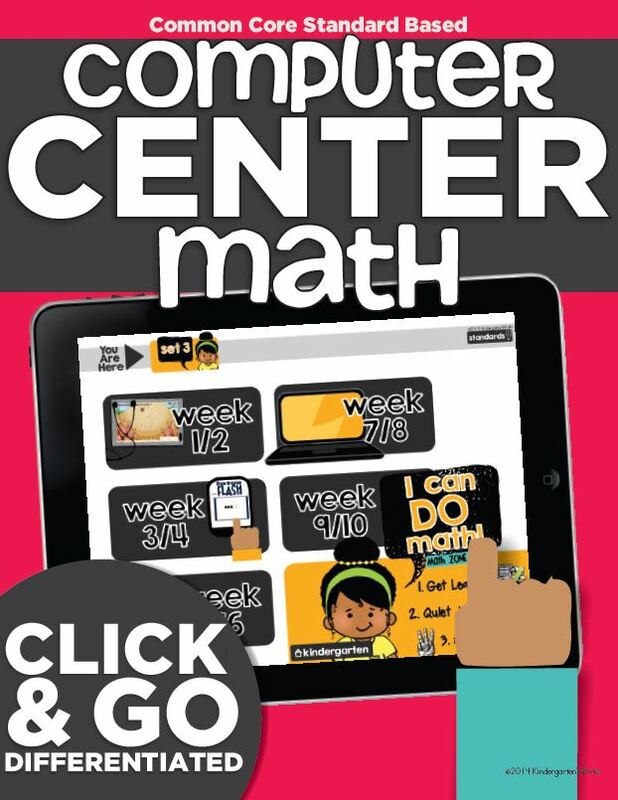 They are interactive – click and learn – just like Cool Kindergarten.